Hunting buddy, Butch Among, sent an email asking if I am interested in hunting for a Ugandan Kob. Butch, who manages a deer breeding an exotic game ranch in Texas, has run across one that is no longer a viable part of the herd. Younger rams keep him out and his genetic contribution to the herd is no longer viable. The Uganda Kob is one of three species of Kob. The other two are the White-Eared Kob and the Buffon’s Kob. Effective conservation, protection from poaching and hunting management protect these diminutive antelope in the native range just above the equator in sub-Saharan Africa. There also small population in private hands and zoos of Europe and the US. The main risk to the species comes from poaching and habitat loss. The later comes from over population of humans and drainage of the wetlands the Kob needs. The native range of the Uganda Kob is in northeast DRC, southwest Sudan and throughout Uganda. Disease and widespread fighting in these areas discourages hunting by American and European hunters. 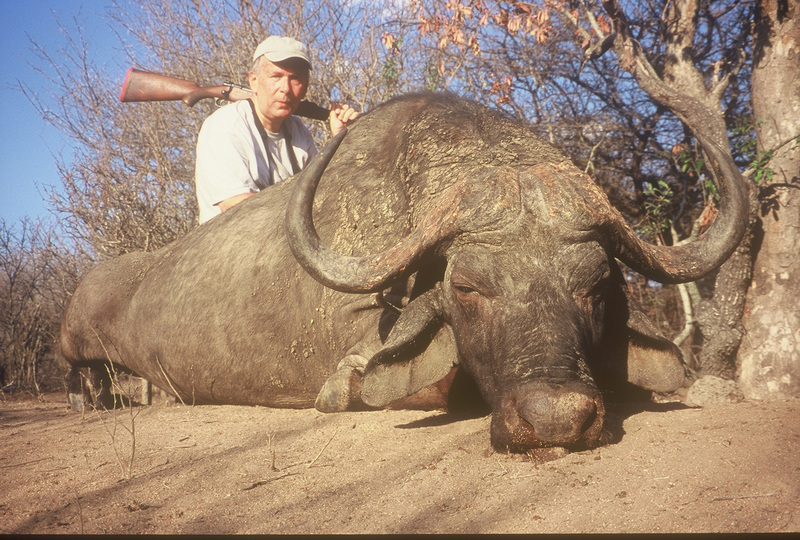 This leaves only those populations in areas such as Texas as the only accessible hunting. Kob reach high densities where protected in favorable habitat. Neither Butch nor I have ever seen this animal. As we move into a blind overlooking a large food plot of various grasses and rag weed, the first thing we spot are four Lechwe. Butch explains that they moved the Lechwe herd to another part of the ranch except for two does which kept escaping. They each gave birth to fawns, a male and a female. If time permits we will try to dart all four and move them to join the herd. Right now we are looking for the Kob. The Kob is very similar in coloration to the Lechwe but is smaller and has smaller horns. About 50-yards to the right of the Lechwe the Kob ram is standing watching them. I put the scope on him just as he lays down in the ragweed. Only his head is sticking out. Waiting is the only thing to do. As the Lechwe move toward the edge of the field, he gets up as if to follow them. Raising the rifle again and he lies down again. The third time is a charm and I connect. He goes down and we approach his position to admire the lovely coloration and pattern of a golden brown and white. I have my Ugandan Kob. It is a once in a life time opportunity to be sure. Today this blog reached the readership level of 2,000. I am deeply indebted to the members of the outdoor community who have helped me to reach so many people and to the people who have enjoyed the exploits and travel of both myself and my friends. My plan is to continue to with the blog. My recent accident has curtailed my travels the first quarter of the year. But, I am on the mend and will soon hit the trail again with fishing and hunting trips. Til then thank you for your support. This is in response to numerous questions I have been fielding about my shooting accident. It happened last week in western Texas while on a Roan Antelope hunt. I was hunting the elk size antelope with a .460 caliber revolver. Revolvers have a cylinder that holds the ammo. Between the cylinder and the barrel is a small area that allows excess gas from the explosion of the cartridge as the bullet exits into the barrel of the weapon. While holding the revolver with two hands it is vital to keep fingers behind the trigger guard. The escaping gasses are forced out in front of that position. I have used this revolver hunting and on the target range shooting some 200 times without incident. On this occasion, I shot the antelope at about 90 yards. He ran a few steps to my left and stopped. I swung the weapon for another shot and in doing so apparently allowed my middle finger of my left hand to extend too far forward. At the shot the Roan went down. The gas escaping blew off the end of my finger and the recoil caused two fractures in my fingers. Because I take blood thinner, the blood cascaded down my front. My hunting companions bandaged my hand and rushed me the 25 miles to a hospital. I was treated there by an army medic recently back from her second tour in the Middle East. Back home my Doctor feels I will have minimal loss to the length of the finger and the fractures will soon heal on their own. I have some pain but it seems to be getting less unless I bump it against anything. I can only type with one hand which requires patience and a lot of time. 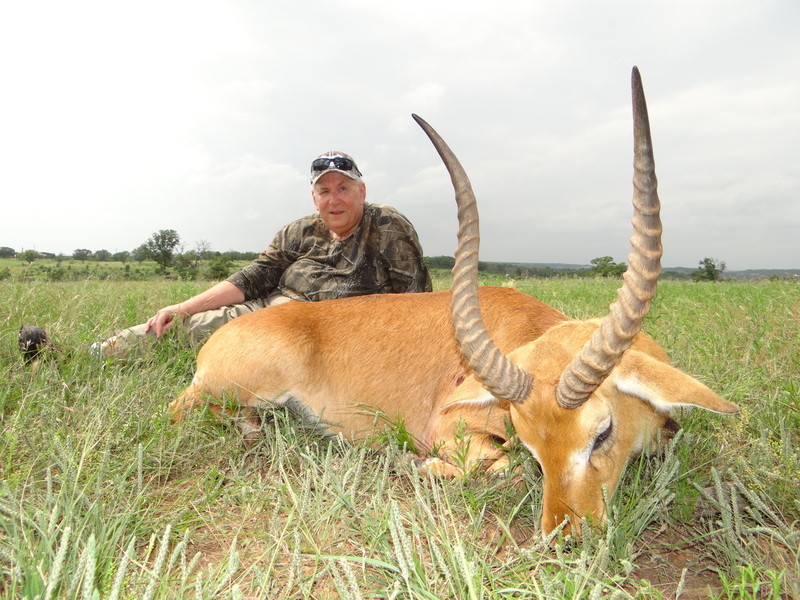 YES, we recovered the antelope and it will feed a number of needy families in the area.